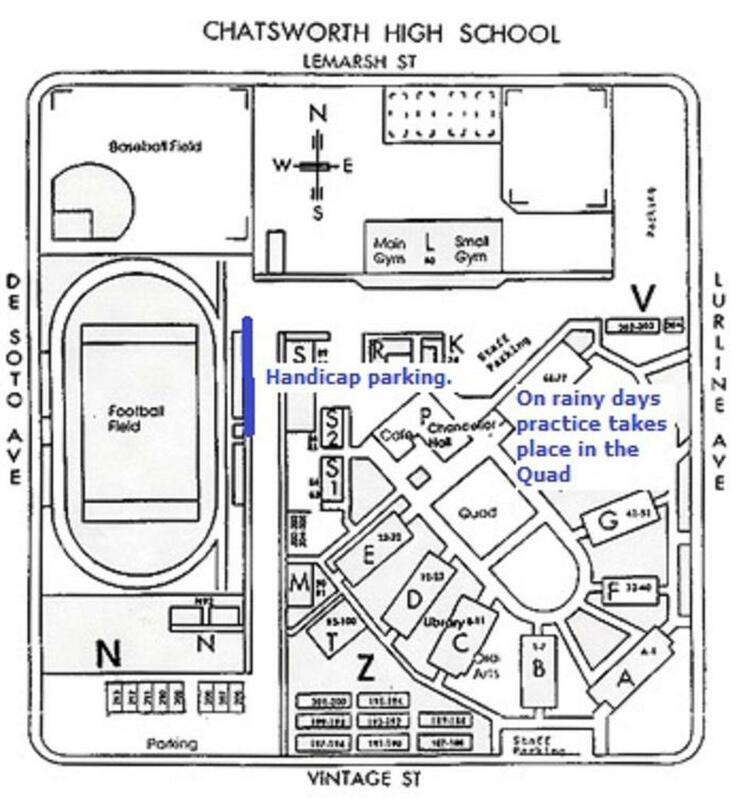 The Chiefs hold all practices and home meets at Chatsworth High School located in Chatsworth in the west San Fernando Valley. Practices are held every Monday, Wednesday and Thursday 6:00pm to 7:30pm. Saturday practice time is 9:00am to 11:00am until meets start. See the Calendar page for practice and meet schedule which can be linked to your Android or Apple devices. No dogs or pets of any type are allowed on the school grounds. This an LAUSD requirement. LAUSD does not allow "therapy animals". Only "Service Animals" are allowed. You will be asked to remove your pet regardless of size if on school property. No wheeled vehicles on the track. Please look before you cross the track. Parents are not allowed on the track during meets unless they are fulfilling a volunteer assignment. Park in designated locations only. The Chatsworth Chiefs are not responsible if you receive a parking ticket from campus police. Please help us to keep the facility clean.